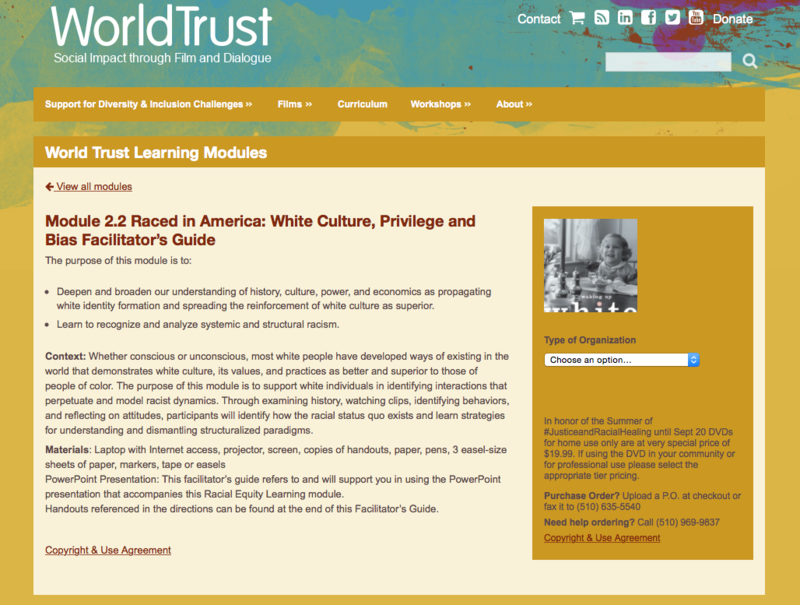 Huge thanks to World Trust for creating this Learning Module! 1) Deepen and broaden our understanding of history, culture, power, and economics as propagating white identity formation and spreading the reinforcement of white culture as superior. 2) Learn to recognize and analyze systemic and structural racism. To find out more and purchase the learning module, click here.